khatam karee means "hand-inlaid." To inlay is to apply wood or other materials in geometric shapes to decorate the surface of various objects. The average is 250 pieces for every cubic centimeter of inlaid work. 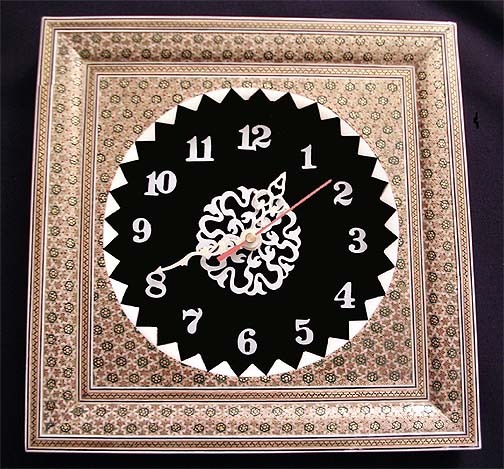 This clock is inserted into the inlaid frame. 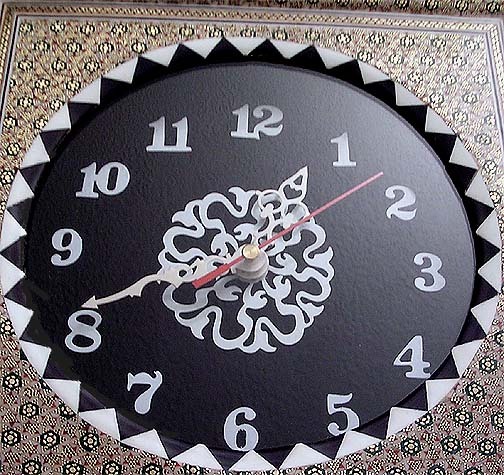 The clock face is easy to read numerals with a nice, intricate design in the center. Dimensions: 11" (28 cm) square.